What is the best kept secret of Miami? Visit in February ! Most people assume that Miami, with its warm sandy beaches is a summer destination. It is true that during February the waters of the Atlantic can be a bit cold – Another side of Miami is alive and well: with world-renowned events. After obtaining your authorizationESTA To travel to the United States, you will be ready to enjoy all that Miami has to offer you in February. The Miami International Boat Show : & ndash; Miami is home to a first class boat show on earth. Visitors can explore thousands of products ranging from motor boats, yachts, sailboats, engines and marine accessories manufacturers all over the world. 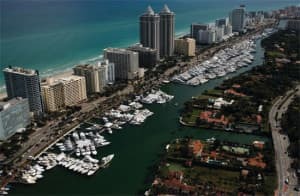 The event is so big that it is spread over three locations: the Miami Beach Convention Center, Sea Isle Marina & Yachting Center and Bayside downtown . If you are a boating enthusiast this is a show you should not miss. This year’s event will be held from 12-16 February. Tickets for adults are $ 20, children under 15 enter for free. 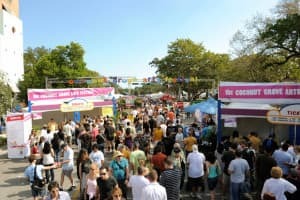 The Coconut Grove Arts Festival: Coconut Grove is one of the most unique and charming neighborhoods in Miami. Nestled on Biscayne Bay and beautiful vegetation, “The Grove” & ndash; As the locals call it – Has always been home to the bohemian Miami crowd. The Grove Arts Festival has been in existence for over 50 years and is at the top of the nation’s Outdoor Fine Arts Festival. The event is organized outdoors in the center of Coconut Grove. With approximately 380 participants among the best artists and artisans in the world, this event will delight lovers of the most demanding arts. Stroll around to enjoy the lively atmosphere, music and beautiful art and you will most certainly not be disappointed. The Grove Arts Festival Coconut will be held February 14-16. Adult tickets are $ 15, children under 12 enter for free. The Wine & South Beach Food Festival: Celebrating its 13th year, the Wine & South Beach Food Festival is a culinary treasure, it showcases the talents of the world’s most famous chefs and culinary personalities as well as wines and spirits producers. The show is presented by Food Network and the channel introduces hundreds of local, national and international chefs and celebrities including TV stars like Andrew Zimmer from Bizarre Foods. World-wide such as Juan Mari Arzac, chef of one of the best restaurants in Spain – Arzac & ndash; Will also be at the event. If you are a gourmet end it is an event that you will enjoy until the last bite. Come prepare however, you will leave with a few more pounds. Ticket prices vary widely by event. Whether you are a fine gourmet, arts lover or amateur boating you are certain to enjoy one of the events of this offer in February. The weather in Miami in February is also more likely to be very pleasant, moisture is lower and sunny days with temperatures in the high 20’s is the norm. Start planning this tripComplete your ESTA authorizationTo travel so you do not miss these incredible events.